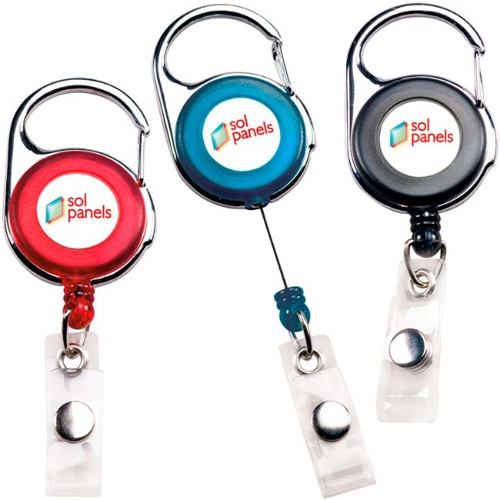 Promotional Carabiner Badge Holder.Carabiner clips on backpacks, briefcase or belt loops. Vinyl panel imprint. 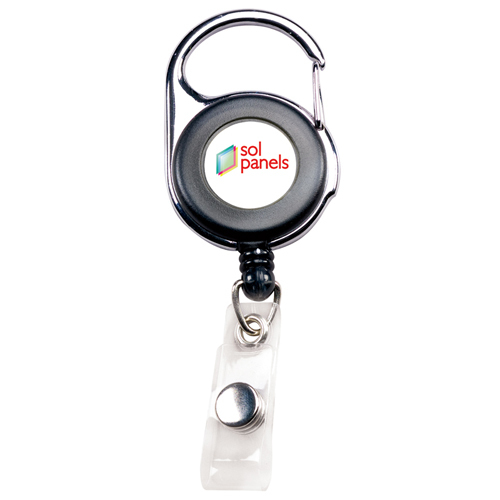 Easy release snap to hold badge. 1 7/16 x 4 1/8"
Bulk / 23 lbs / 525 pcs. Price includes a 4 Color Process imprint in one location. A setup charge is additional at $55.00. 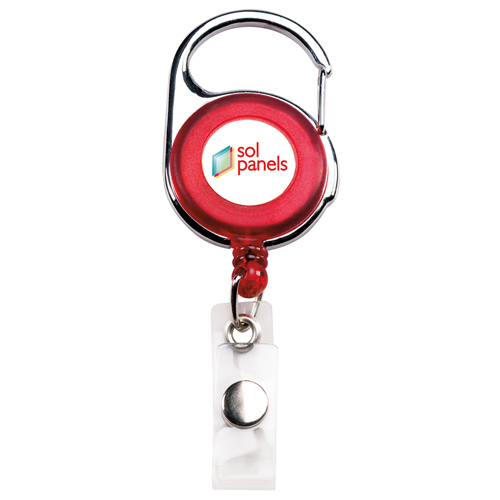 Round Safety Laminated Button-1 1/2"